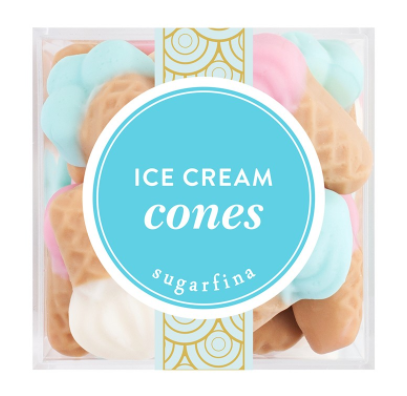 These ice cream cone gummies were made for summertime. The flavors are strawberry, raspberry, and vanilla waffle cone, and they really do taste like the real thing (minus the “ice” part). I just saw “Wonder Woman” this weekend, so excuse me while I gush about it FOREVER. 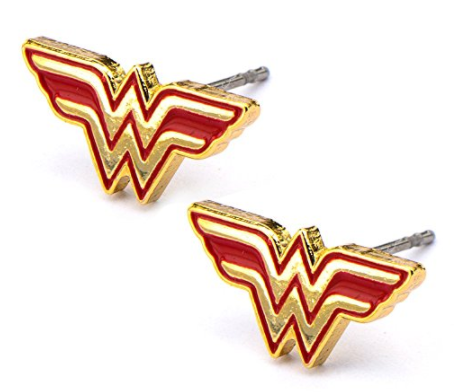 If you idolize Diana Prince, or need to feel a little more mighty every day, get these Wonder Woman earrings (from Amazon, no less). 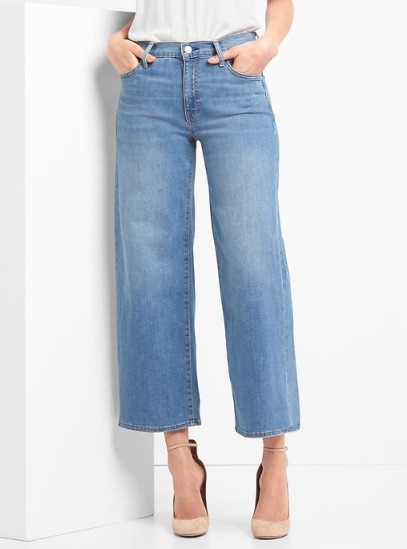 I just bought these as a way to cure my skinny jeans addiction (nothing wrong with skinny jeans, I just have way too many pairs). At first it feels weird to be wearing something so baggy around your body, but then you realize how free you feel and how chic you look. Wide crop jeans. Get them. 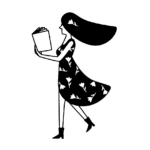 I consider myself a pretty low-key chick, but there’s something about the sight of a wrinkly blouse that turns me full Type A (must be the Virgo in me!). I used to old-school iron everything, but recently I discovered this game-changing device and it’s saved me. 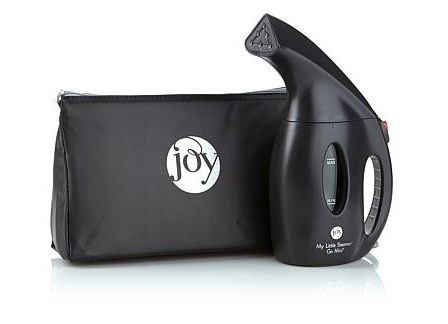 Joy Mangano (aka the inspiration behind Jennifer Lawrence’s character in the movie Joy), has a travel steamer that is super lightweight, efficient and actually travel-sized. I feel like a lot of steamers bill themselves as travel-sized, but they’re super bulky and don’t leave room for any shoes in your suitcase. 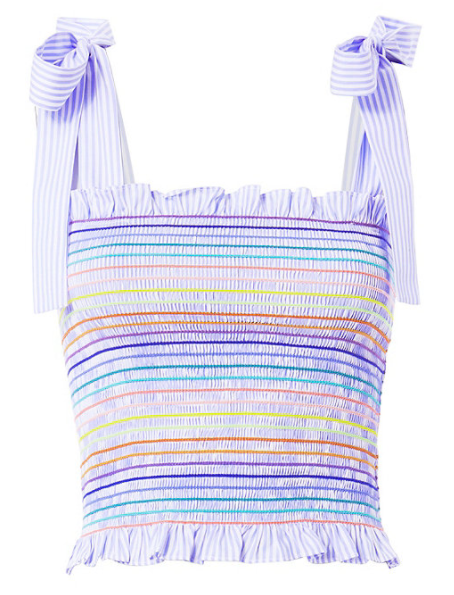 This baby smoothed out my cotton jumpsuit in mere instants and it’s small enough to tuck away in my overnight bag. I’m obsessed. 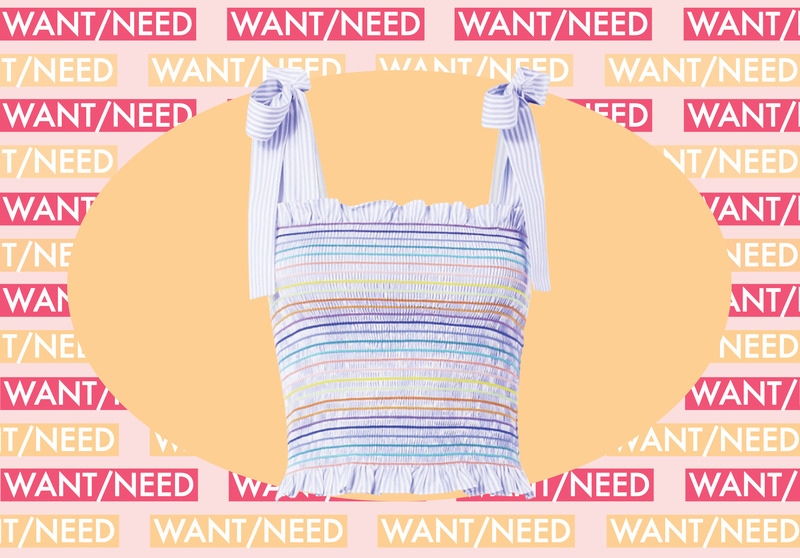 This sweet little top makes me want to go to a summer carnival and eat salt water taffy. The price is admittedly steep, so I’ll have to put a watch on this beauty and see if it goes on sale. I’ve been on a real one-piece kick lately, and this black-and-white spotted swimsuit is so fun and different from any others I’ve seen. It’s got a deep-v and shoulder ties, so the fit is adjustable, which I love. BRB, gotta go find an inflatable pool float to lounge on.